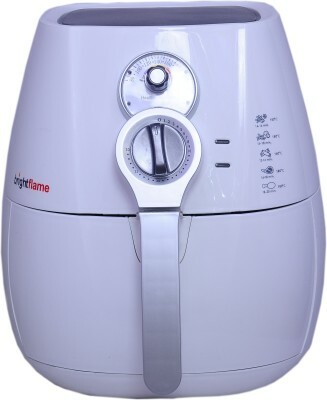 This Brightflame Healthy Air Fryer has a compact, elegant design which complements well with your kitchen decor. It features Rapid Air Technology that reduces usage of oil by circulating hot air around the grill component. Food is cooked uniformly as it makes use of Super Enhanced Air Engineering. It comprises of a pan, basket, and fryer's tray. To Recieve updates and possible rewards for Brightflame AK-0072 2.2 L please sign in. To Recieve updates and possible rewards for Air Fryer and Tandoor please sign in.